Turks and Caicos Islands, a British Overseas Territory consisting of the larger Caicos Island group and the smaller Turks Island group has a total land area of 193 square miles and a population of close to 37,000. The island is tropical made up mostly of limestone with caves, marshes, mangrove swamps and a diverse array of flora and fauna. Framing all this are the breathtaking hues from its turquoise waters, and ivory sands. Tourism, offshore financial services, fishing, and agriculture are the main sectors of its economy. Seafood is the main resource of the place. Though TCI is a year-round destination like the rest of the Caribbean, the peak season is from mid-December through mid-April. 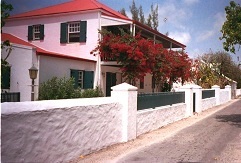 Cockburn Town, Middle Caicos, Providenciales, Pine Cay and Salt Cay are the popular attractions. Scuba diving, snorkeling, sunbathing, beach-combing, birdwatching, hiking, horse riding, golf, and gambling are some activities pursued by its visitors. The island is well known for its love for music especially ripsaw music. In an effort to improve tourism in the low-season, the country holds its popular Musical and Cultural Festival during summer. Upscale resorts and a new cruise ship port along with a recreation center are also being built in a bid to bring in more tourism revenue. Boiled fish, johnny cakes, whelk soup, potato bread, grits, and hominy (corn sans its germ) are their staples. Conch is a popular island dish and can be curried, creoled, frittered, dried, cracked, and chowdered. However restaurants feature various cuisines and the tab in TCI is considered a tad higher than the other Caribbean islands. Turks and Caicos Bradt Travel Guide 978-1841622682 $17 Coverage of Flora and Fauna is a standout of this guide. The diving section is also excellent with over 15 pages. Part I is an introduction covering 60 pages and Part II has chapters on Provideniales, North, Middle, and East Caicos, South Caicos, and the Turks Islands. Frommer’s Portable Turks and Caicos 978-0470630983 $11 The 168-page pocket book is ideal to take with you during your trip! The first stamps of Turks and Caicos Islands were a set of nine stamps released between 1900 and 1904 showing the Dependency’s Badge in two different designs. The set (Scott #1 to #9) catalogs for around $100 mint and around $150 used. Turks and Caicos Islands, a British colony was a dependency of Jamaica until 1959. Following a corruption scandal, it lost its status of self-government in 2009. King Edward VII (KEVII) and King George V (KGV) key types along with a design showing Turk’s Head Cactus and several common design types formed the stamp issues of Turks and Caicos Islands during the period till 1938. The first KEVII set and a KGV ‘Postage and Revenue’ set (Scott #13 to #22 and #60 to #70) are the most valuable cataloging in the $70 range for mint and over $100 for used. Turk’s Head Cactus is indigenous to the islands and the island is named from that. Turks & Caicos Islands released a set of fourteen stamps between 1938 and 1945 in the Salt Industry theme. The set (Scott #78 to #89) catalogs for around $90 MNH and around half that for used. The designs show a head portrait of King George VI (KGVI) along with Salt Manufacturing Steps. Salt industry was the mainstay of the Turks and Caicos economy from the late 17th century until the 1960s. The Island of Salt Cay was once considered the Salt Capital of the World. A set of thirteen stamps released on August 2, 1950 showing local scenes. The set (Scott #105 to #117) catalogs for around $65 MNH and around $50 used. The designs show KGVI along with loading bulk salt, Salt Cay, Caicos Mail, Grand Turk, sponge diving, South Creek, Map, Grand Turk Light, Government House, Cockburn Harbor, Government Offices, salt loading, and Dependency’s Badge. A set of fifteen stamps released between 1957 and 1960 showing Queen Elizabeth II (QEII) and local scenes. The set (Scott #121 to #135) catalogs for around $85 MNH and around $30 used. The designs show QEII along with bonefish, red grouper, spiny lobster, albacore, muttonfish snapper, permit, conch, flamingos, Spanish mackerel, Salt Cay, Caicos sloop, Cable Office, Dependency’s Badge, and pelican and salinas. A set of fifteen stamps released on August 1, 1973 showing Birds. The set (Scott #265 to #279) catalogs for around $30 MNH or used. The designs show sooty tern, magnificent frigate bird, noddy tern, blue gray gnatcatcher, little blue heron, catbird, black-whiskered vireo, osprey, flamingo, brown pelican, parula warbler, Northern mockingbird, ruby-throated hummingbird, Bahama bananaquit, cedar waxwing, and painted bunting. A set of fifteen stamps released in 1985 in the Ships theme. The set (Scott #578 to #592) catalogs for around $50 MNH and around $25 used. The designs show Dug-out Canoe, Santa Maria, Spanish Treasure Galleons, Bermuda Sloop, Privateer Grand Turk, Nelson’s Frigate Boreas, Warship Endymion, Bark Caesar, Schooner Grapeshot, Invincible, Magicienne, Durban, Sentinel, Minerva, and Caicos Sloop. A set of eight stamps and two souvenir sheets released on April 15, 1991 to mark the 500th anniversary of the Discovery of America. The set (Scott #883 to #890, #891 and #892) catalogs for around $25 MNH or used. The designs show Voyages of Discovery: Henry Hudson (1611), Roald Amundsen (1926), Amundsen (1906), USS Nautilus (1958), Robert Scott (1911), Richard Byrd, Floyd Bennett (1926), Lincoln Ellsworth (1935), Cook (1772), The Nina, and The Search for Land. The first coin of Turks and Caicos Islands was a Crown Colony Standard Coinage (100 Cents = 1 East Caribbean Dollar, 1 Crown = 1 Dollar USA) Copper-Nickel Crown showing QE bust in Obverse and National Arms in Reverse issued in 1969. The issue had a mintage of 50K and catalogs for around $5 in BU. The first gold coin was a 0.0502 troy ounce 5 Crowns Gold Proof showing Crowned QE head in Obverse and Two Bottle-nosed Dolphins in Reverse. The official currency of Turks & Caicos Islands is the US dollar. The coins issued are primarily aimed at the numismatic market. Straw baskets, conch shell art, conch shell jewelry, water colors, silk painting, Bambara rum and the rum cake, and island coffee are some items visitors take away from this beautiful island. Miscellaneous Collectibles $2 and up Flags, Patches, Key Chains, etc start around $2. Themed Porcelain Trinket Boxes and Souvenir Mugs start around $15.